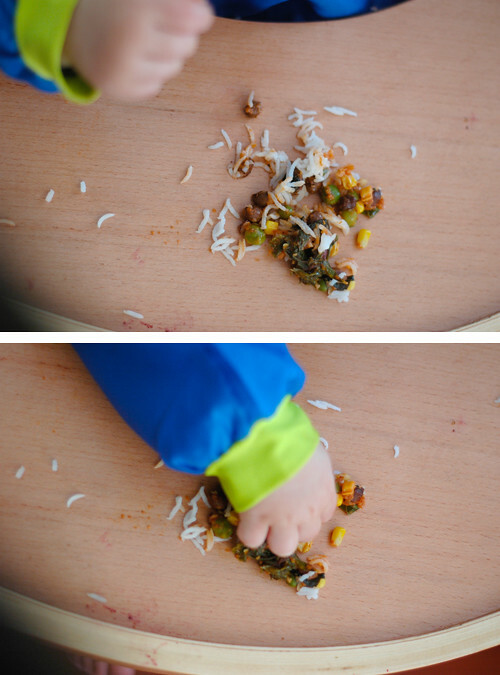 Kid friendly Curry? Yes! Score! A couple of years ago now, I worked as a nanny and looked after two lovely little hobbits! Cooking for them was pretty easy with the exception of the curry dilemma! They weren’t really keen on anything curry. Not even butter chicken! It was something that I was hoping wouldn’t happen with the boys. As soon as they were old enough, it’s been all about variety. A recipe for a veggie korma was sent to my inbox from the Vegetarian Times. I made it with really no intention of giving it to the boys, but when Jacob and I had it for dinner, I thought the boys might actually like it. The next day, I warmed up the leftovers, curious to what would happen, ready in the wings were a couple sandwiches, just in case. Let’s just say, I had the sandwiches for lunch, the boys devoured the korma! It was a triumph for me! I am amazed everyday at what they enjoy eating. Things that are basic and bland seem to get thrown on the floor lately while the garlicky and spicy get eaten straight away. Hendrik will lick Vegemite off of crackers and leave the crackers. Anywho, this reasonably mild korma still has incredible flavour and Jacob who is renowned for his hot sauce consumption, didn’t use any. It’s loved by everyone in our clan! Sorry for the lack of photos! 2 cups mixed vegetables, frozen or fresh, we used frozen peas & corn, kale, silverbeet. Purée tomatoes, onion, and ginger to paste in food processor. Heat oil in saucepan over medium heat. Add garam masala and cardamom, and cook 30 seconds, or until fragrant, stirring constantly. Add tomato mixture. Simmer 2 minutes, or until sauce thickens slightly. Stir in vegetables; chickpeas and cream. Season with salt and pepper, if desired. Cover, reduce heat to medium-low, and simmer 6 to 7 minutes, or until vegetables are tender. Serve over rice. Sprinkle with almonds, if using. Too easy! The ginger gives it a nice kick without adding the chili heat that I’m used to in curries. Hopefully this works for your family! Previous Post Apricot & Orange Muffins! It’s almost baking season..
Next Post Protein, veggie style!